subscribe.airsafe.com Dr. Todd Curtis of AirSafe.com was recently interviewed on the nationally syndicated radio talk show Rudy Maxa's World about his latest book, AirSafe.com Airline Complaint Guide. Rudy and Todd talked about a number of subjects, including the most common kinds of complaints seen by AirSafe.com and when a passenger should not complain. 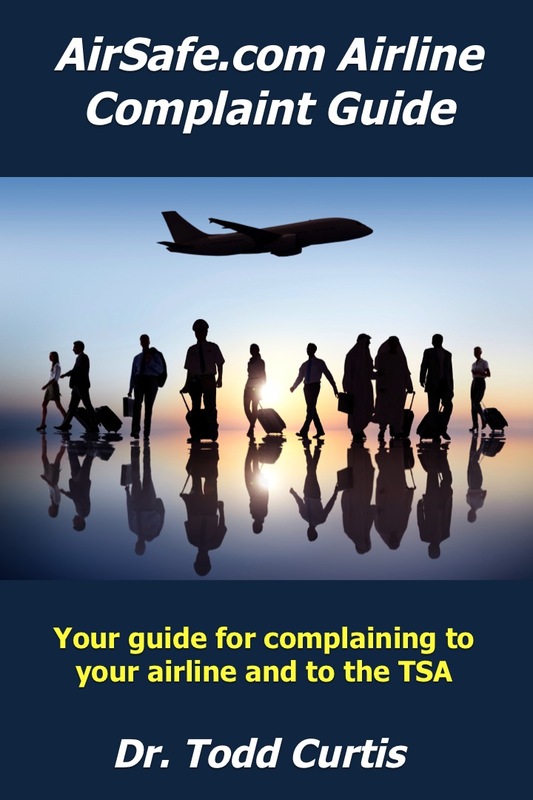 This latest book is the first of a series of books that will be published by the end of 2012, with the next book covering child travel issues. To get this newest AirSafe.com title, simply join the AirSafe.com mailing list at subscribe.airsafe.com. If you are a mailing list member, look for the book link in your latest email, or contact AirSafe.com for a copy.